The talented and world renowned music teachers from The International School of Moscow are treating guests to an unforgettable musical experience. 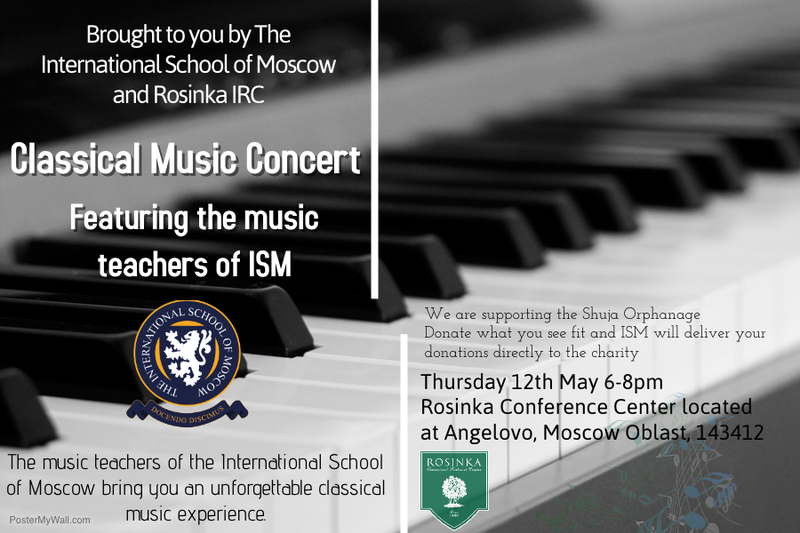 Thursday, 12th May at 6pm, you are invited to the Rosinka IRC Conference Center for spectacular performances by the likes of Alexei Skanavi, Dr. Paul Tckachenko, Valentine Khalembakov, Nikita Tokarev and others. Space is limited and registration is required. This is a pay what you want event with all proceeds going to an orphanage supported by The International School of Moscow.